Siezed by an intriguing idea. 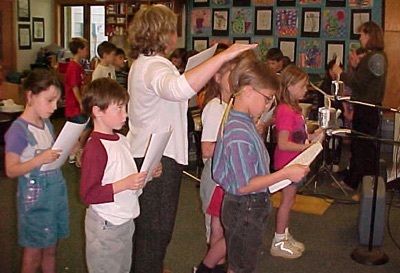 Could radio drama be used in the classroom to make learning more meaningful and fun? 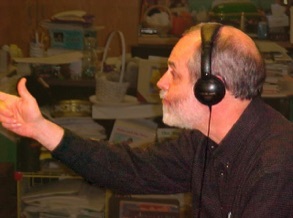 With a low-power FM transmitter Joe and Paula McHugh visited schools throughout the United States directing groups of students as they performed radio dramas complete with sound effects. These performances were broadcast "live" throughout the school campus. In doing this the McHughs had a great time and learned a lot about how to write and perform radio plays that actually worked with young people. Each Raven Radio Theater script comes complete with casting directions, detailed instructions for finding and/or making the necessary mechanical sound effects, a full set of sound effects cue cards, and mp3 files of theme music and background sounds customized for each play. Most of the plays can be performed by twenty to thirty-five students as readers theater, readers theater with sound effects, school assemblies and/or recorded.